The further adventures of the lone samurai Hawk, as he continues his battle to defeat the evil Pharaoh, Saint Offender and the Black Knight. Guided by his Psychic, Hawk ultimate defeats his adversaries and brings order to the universe. 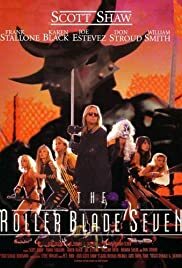 In a futuristic society, rebels fighting against a fascist state are aided by a group of roller-skating nuns called the Bod Sisters. In the future, a warrior nun on roller skates must rescue a seer, who is to be sacrificed by a band of mutants. The Earth is being swept by a toad plague. 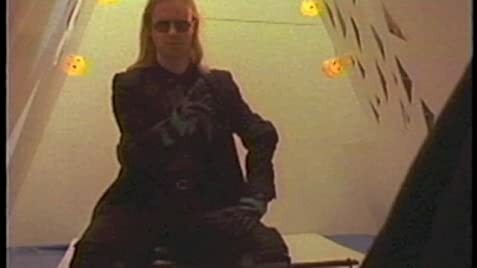 Enter, the lone Samurai, Max Hell (Scott Shaw), the Earth's last hope to save the planet from the mad clutches of Mickey O'Malley (Joe Estevez). SCOTT SHAW stars as the lone samurai, MAX HELL, on the trail of the Serum which was unleashed to turn all of humanity into Toads. This is a visual experience for the true aficionado of Zen Filmmaking and Max Hell Frog Warrior. Black Knight: Look! I will kill you! Hawk: We shall see about that, won't we? The worst film of all time. This film is, far and wide and beyond any shadow of a doubt, the single worst and most contemptible film in the history of the universe. It really *is* that bad. Personally I have always enjoyed the guilty pleasure of a terrible film, and rented this one thinking it would be one of those. To my immense disappointment, it was not. The script is delivered in a way that sounds as if they're reading the lines directly off placards, the story makes absolutely no sense whatsoever, and the actual film looks like it was shot on a home video camera. I couldn't even finish watching it. It is even worse than "Witch Academy", and that's quite a feat in itself. I cannot even begin to fathom how a director could shoot this film, and then still have the sense to believe it was decent enough to release.